MARION -- Brian Logan says he doesn't have a favorite professional baseball team. There is no reason to doubt the validity of his statement even though he says it with a chuckle as if declaring neutrality in a war between family members. It's a good move on his part. 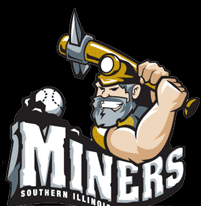 Especially now that Logan, who shined as a left-handed middle reliever with the Southern Illinois Miners last summer, is a member of the Chicago White Sox organization. Logan was signed by the American League squad this week and can now say he has been the property of four different major league squads in his young professional career. "I'm pumped. I'm excited to know I'm getting another chance," Logan said. "I've been in the minors chasing my dream and even though I was let go once, it's nice to feel like someone believes in you. Now I just have to go out and prove it." Logan, 21, was originally taken by the Cleveland Indians in the 11th round of the Major League Draft after his senior year at Varina High School in Richmond, Va., but turned down a contract offer to attend Louisburg College, where he redshirted due to an injury but was still drafted as a sign-and-follow prospect by the Baltimore Orioles in the 21st round prior to his sophomore year. Bad luck in the form of mononucleosis caused Logan to see action in just four games that season, but his reputation allowed him to sign as a free agent with the Milwaukee Brewers. He played in rookie ball and was invited to Spring Training but was released in the final week before the season. 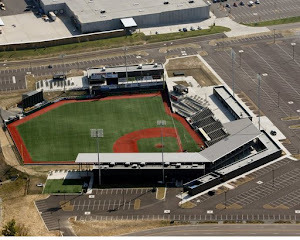 That path led to Marion and a key part of the Southern Illinois Miners' inaugural season in the independent Frontier League. Logan was dominant as a southpaw artist used primarily in specialty situations by Miners manager Mike Pinto. "We would match him up against lefties and you're talking about a lefty with a 91-92 mph fastball with good life on it," Pinto said. "His ball runs in with good late movement and that's not an easy thing to pick up." Logan was technically a member of the River City Rascals when he was signed by the White Sox. 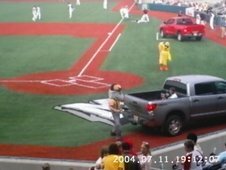 The Miners traded Logan to Gateway in the second half of the season for starter Chris Little, only to regain Logan's services after Gateway traded him to River City with a stipulation that Logan be sent back to the Rascals for the 2008 season. Logan excelled under the instruction of Miners pitching coach Brad Hall and was named to the Frontier League All-Star Game as a result of some clutch performances last summer. Logan appeared in 28 games while with the Miners, compiling a 3.26 earned run average and striking out 35 batters in 30 1-3 innings. Hitters batted just .263 against him. "(Hall) worked with me and got me really feeling things," Logan said. "After I was traded it kind of messed up my mindset, but when I came back we got back into it and I understood what he was trying to teach me -- and I was excited about learning what he had to teach me." Logan began his college career as a starter but was moved to a reliever's role after his bout with mono, a move that paid off for all parties involved. "I like coming in and being able to throw all your pitches and go right after a guy," Logan said. "I prefer that to being a starter. I keep the mindset that I could come in any inning so I have to be ready. If the starter gets in trouble, I'm ready to go." Whether it was to preserve a lead or get the Miners out of a sticky situation, Logan was called upon more than any reliever last season to shut down the opposition over the middle innings. "He came into some tough situations and did a great job," Pinto said. "His being named an all-star was tribute to the job he did. I'm glad we were able to get him back. It worked out well for us." Logan doesn't know where he'll be assigned within the White Sox organization as of yet. "I haven't talked to them," he said. "Pinto just called and gave me the heads up and wished me good luck. I'll just continue to work out and hopefully I'll hear something by Christmas." Logan's goal is to join the White Sox in training camp and this time earn an assignment to a Class A team and take his chances. "This year I want to start out where I left off, if not go higher," Logan said. "Hopefully I'll go to Spring Training and show them I can compete and then work my way up." If that doesn't work out, Logan didn't rule out making his way back to Marion sometime in the future. "That wouldn't be too bad," he said. "I loved my time there." 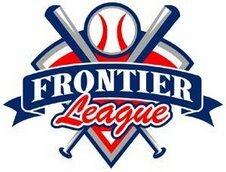 Although the Miners have yet to play a game in their second season, they've already had two players be picked up by major league organizations. First baseman Tim Dorn was signed by the St. Louis Cardinals in the first half of the Miners' inaugural season. "Hopefully we'll improve that number next year," Pinto said. "The reason guys come here is for a chance to follow their dreams. I couldn't be happier for Brian. He's worked really hard and we know he has the stuff to succeed there. When he trusts his stuff, he is exceptional." MARION — Ralph Santana spent a lot of time either on first base or a few feet away during the Southern Illinois Miners' inaugural season. He'll continue that trend in the Frontier League squad's second year — in foul territory. Santana has been hired as a member of the Miners coaching staff, team manager Mike Pinto said. The former second baseman and leadoff hitter will man the first base box and serve as the team's running and infielders coach. 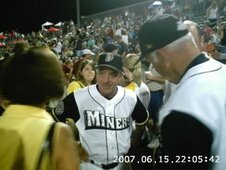 Pinto coached Santana while both were with the Sioux Falls Canaries of the American Association and Pinto worked for several months to make Santana a member of the Miners' first team. Santana quickly became a fan favorite and was one of six Miners named to the Frontier League All-Star Game and the team's lone representative on the postseason All-Star squad. "I've watched Ralph for two years and watched him mature," Pinto said. "But mostly I've come to watch how he really has a great baseball intelligence. He has baseball smarts. He looks for the little things in the game that will give us an advantage to win. "And he's a very hard worker. He will work our young guys strongly so they have a lot to look forward to. He will take care of them." Last year's first base coach, Bart Zeller, will remain a member of the coaching staff along with pitching coach Brad Hall and bullpen coach Sean Patrick, Pinto said. 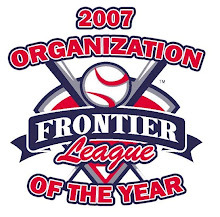 Frontier League rules allow a team as many coaches as its budget will allow. 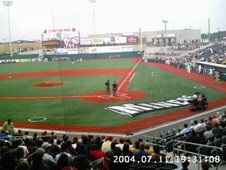 The 27-year-old Santana exceeded the Frontier League age limit after spending just one year with the Miners. It was the last of seven years in professional baseball, where he compiled a career batting average of .298 and ripped 740 hits. Santana, a lefthanded batter and righthanded thrower, had more hits than anyone in the Frontier League last season (126) and held a batting average of .342 that was third-best in the league. The Orlando, Fla., native was a big reason why the Miners had the league's highest hit total (936) and finished second in team batting average (.282). Santana stole a team-high 25 bases last season in addition to knocking in 47 runs — including three home runs — while battling nagging injuries. He also recorded 270 putouts at second base, often making tough plays look routine. 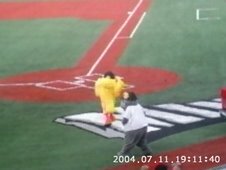 Statistics provided to Pinto by the Frontier League show that Santana had 47 more putouts than the next closest second baseman. Although Santana's playing days in the Frontier League are over, he could have pursued joining a team in another independent league — former Miners outfielder Andre Marshall has signed with the St. Paul Saints of the American Association, for example — but after chasing his dream for seven years, has decided to take another route. "He certainly could've played a number of places and I've received a number of calls," Pinto said. "But I think he's at the point where he has nothing else to prove and has decided to look at the next stage of his life." Santana has also begun assisting with speed and agility training with Born Athletic, Inc. in Marion, a company expanded earlier this month by owner Dr. Toby Brooks. 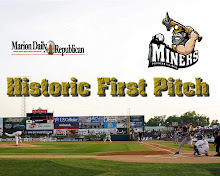 The Miners begin their second season May 21 on the road against the Gateway Grizzlies. Their home opener is slated for Saturday, May 24. 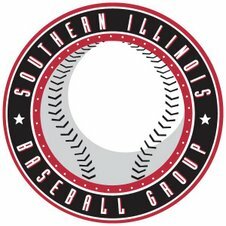 Southern Illinois Miners owner Jayne Simmons has been selected by the Pitch and Hit Club of Chicago to receive the Club’s Minor League Executive-of-the-Year Award. Simmons will be honored at the organization’s annual awards banquet on Jan. 20 at the Donald E. Stephens Center in Rosemont, Ill. 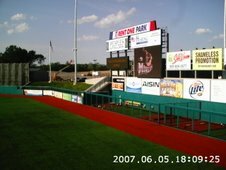 The Pitch and Hit Club of Chicago is a professional baseball organization that promotes professionals in the game of baseball in the Chicagoland area. The awards are selected by the Pitch and Hit Club’s board of directors and Honorary Chairman Roland Hemond. Hemond is the former general manager of the Chicago White Sox and Baltimore Orioles and has been named Major League Executive of the Year three times. Recent award winners at the Pitch and Hit Club’s annual dinner include Ozzie Guillen, Jim Hendry, Bo Jackson, Mark Prior and Aaron Rowand among others. 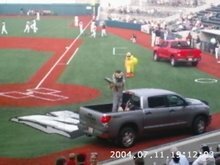 The Miners home opener is scheduled for Saturday, May 24 at 7:05 p.m. For the latest Miners news and updates, visit www.southernillinoisminers.com. Questions? Want to be added to my email list? Email me! Great 1st year Way to go Miners!!!! !